A New World Bodybuilding Organisation Is born! THE INTERNATIONAL BODYBUILDING AND FITNESS ASSOCIATION. "Oh no", I hear you saying, "not another one", Already we have NABBA, IFBB, WPF, WABBA, WBA, ANB, etc., and yet Bodybuilding is still going down the tubes. Lots of Shows, but a lack of Competitors, and, worse still, hardly any audience. Well, the International Bodybuilding & Fitness Association, (IBFA), is different, it is the brainchild of Italy's Professor Biagio Filizola. It's all about trust, having fun and making new friends. Biagio, in his earlier years competed many times, and in his role as Professor of Physical Education has given many seminars throughout Italy. Biagio is also President of Associazione italiana Culturismo, (AIC), and has organised many italian contests. His main show though was, and is always the AIC Mr Italy and Mr Europe, held each July in his hometown of Sapri on the sunny Southwest italian coast, 150 miles below Naples. The contest is held in the open air at night right next to the beach. And, as a tourist attraction his show has hundreds of spectators watching, from wide-eyed kids to slightly mystified old senioras. 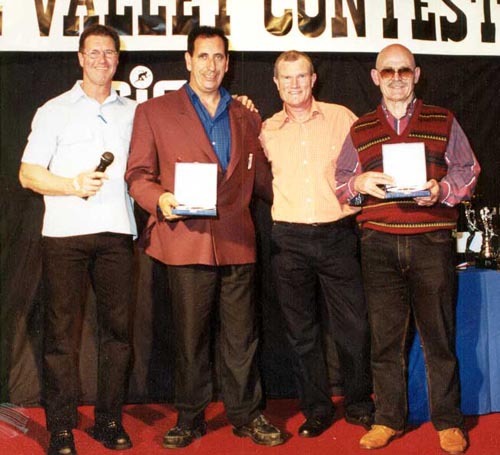 And, can you believe, at his last Mr Italy contest there were over 120 competitors, and it received national T.V. and newspaper coverage. Bodybuilding is alive and kicking in Italy. Over the years, invited by Biagio, more and more Independent organisations, throughout Europe have been sending competitors to his show, now Biagio has joined forces with Michel Gauthier, President, Association Culturist Francaise, (ACF), who runs his own ACF World each November in France, and the other independent world organisations, such as, Slovenia, Germany, Lithuania, Algeria, Marocco, Cameroon, Belgium, Norway, Yugoslavia, and the U.S, to form the, all new IBFA.